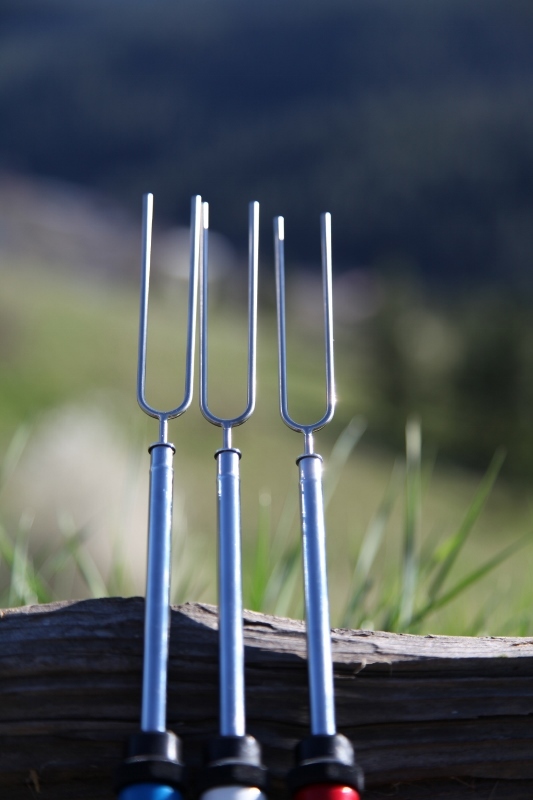 America’s favorite roasting tool features a stainless steel fork that telescopes out to 42″ for easy campfire cooking. Summer camping season is in full swing, just in time to join in the fun with the Great American Backyard Campout in support of the National Wildlife Foundation. Pledge to camp out on Saturday, June 28th and $2 will be donated to the National Wildlife Foundation in your name to protect the American wildlife and lands that you love. Their website also has great tips about camping, songs and stories, recipes and games that your family will love. After you sign up to spend a night under the stars this weekend make sure you’re ready for that campfire cookout with your original marshmallow toasting fork- the Rolla Roaster! America’s favorite roasting stick is on sale until July 4th in celebration of Independence Day. The Patriot Pack- three sets of the Rolla Roaster in red, white, and blue- is just $30! Please visit www.RollaRoaster.com now to get your new favorite campfire cooking tool. Posted in Campfire Cooking, Camping and tagged 4th of July sale, backyard cookout, barbeque fork, campfire cooking, family camping, fun for kids, Great American Backyard Campout, marshmallow toasting stick, National Wildlife Foundation.